‘After taking on supplies at Gravesend, I shoved off into the tide, and lit a cigar, and now I felt we had fairly started,’ wrote philanthropist, barrister and pioneer of the Victorian canoeing craze, John MacGregor in his classic A thousand miles in the Rob Roy canoe. He seems to have been a highly entertaining if largely bonkers character, from what we learn from this article published in Sea Kayaker Magazine. I really must get around to reading Macgregor’s book myself! 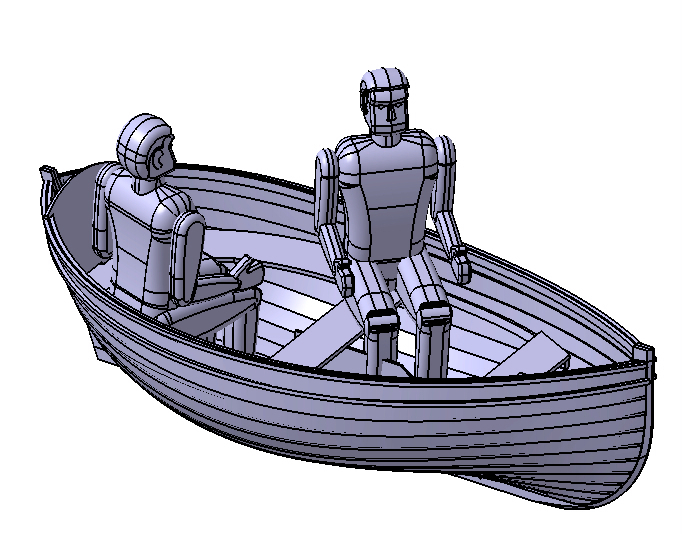 See this post for construction information and ‘plans’ for Rob Roy-style canoe described by Neison in his book Practical boatbuilding for amateurs. Paul O’Connor has been kind enough to send me a set of the plans he created before building his model of the 10ft double ended skiff from the book Practical Boatbuilding for Amateurs. 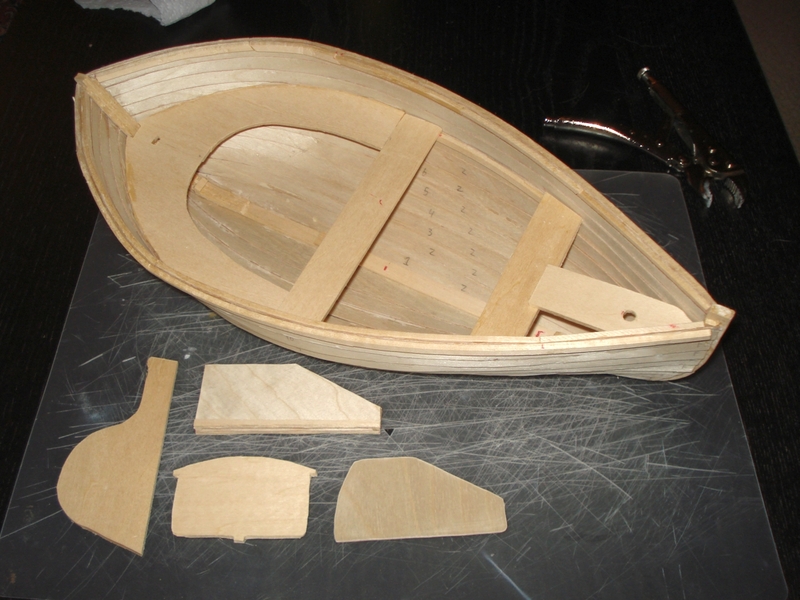 The model has been a step along the route to building the real thing in epoxy ply, and because this is an attractive craft and and interesting challenge, I’m sure other intheboatshed.net readers will be interested in making their own models from the drawings. As I’ve pointed out before, there’s quite a lot of online background to this project. 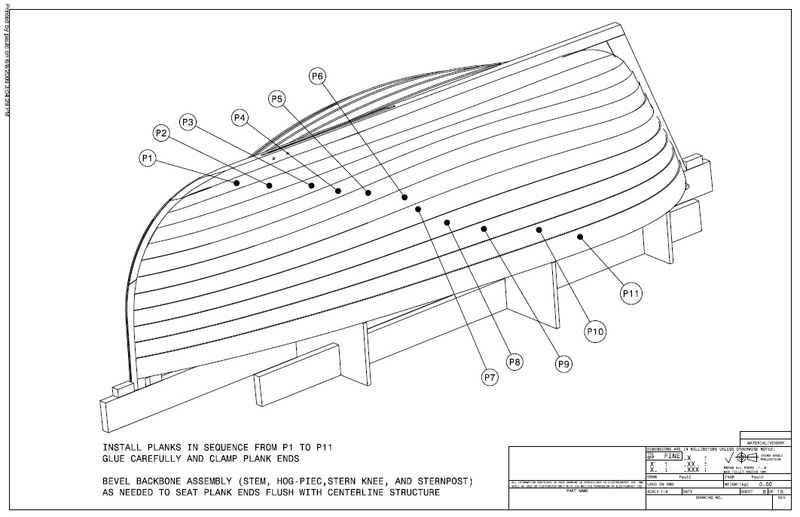 The original drawings and information from Practical Boatbuilding are here, an earlier intheboatshed.net post on the model project is here and two threads discussing the Practical Boatbuilding skiff and Paul’s project are here and here.